How to crochet an easy baby hat pattern. Ideal FREE pattern for beginners at crochet and a simple project to make when starting crocheting. 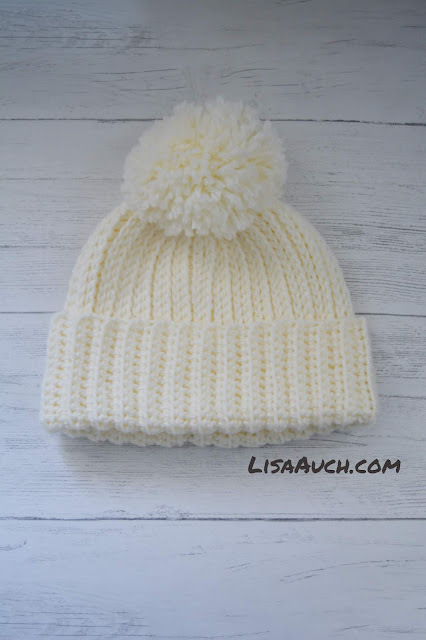 I LOVE this Baby Hat as it is lovely and soft for babys head, it fits like a cap style ensuring babys head is covered and kept warm. 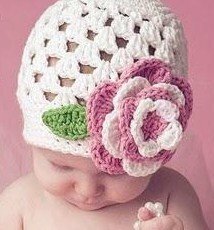 This is ideal crochet project for beginners who want to get into crochet baby hats, a great way to learn as you go, and see how the increasing helps make the shape of the baby hats. 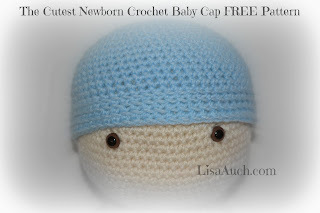 It is worked in the Round so no messy join line at the back uually created by hats worked in the round and joined, And the inside of the hat is very neat and soft especially important for a newborns head. 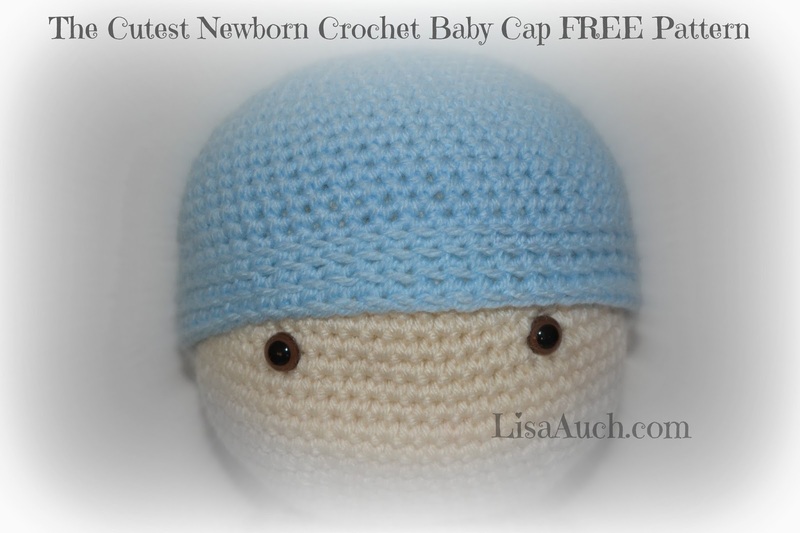 So I am excited to bring to you a very easy FREE crochet baby hat pattern. Great crochet pattern for beginners who want to make something really nice and cute! 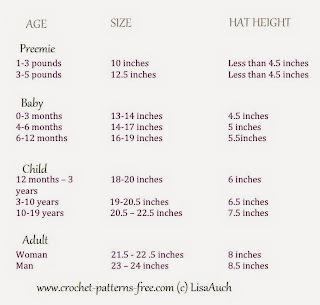 Use a larger size hook and or yarn to make the cap for a larger size child. 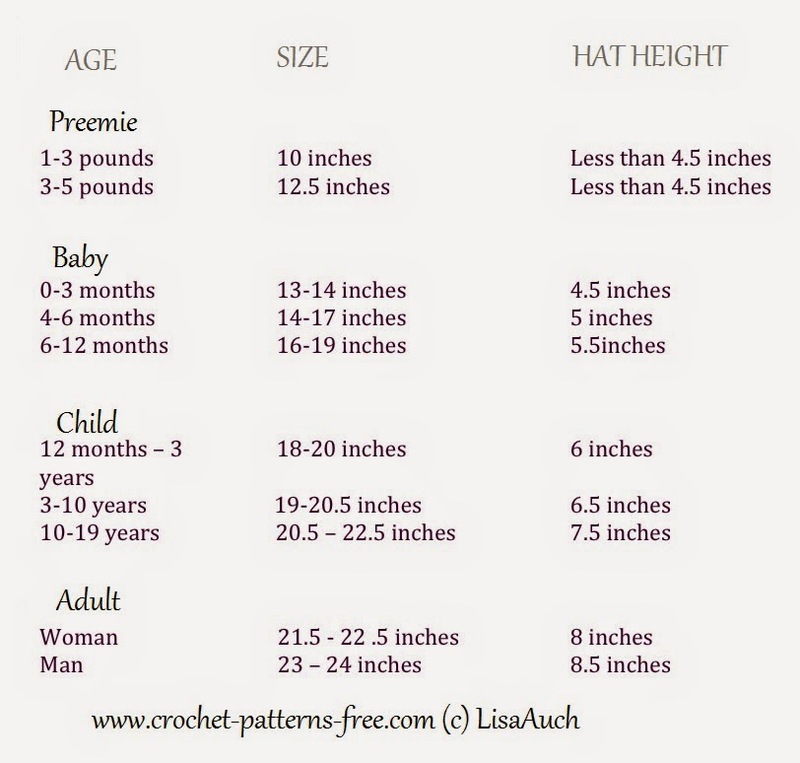 Or a smaller hook and lighter Yarn to make smaller Using the handy measurement table on this page. Once you make one it then becomes easier to work out how to make this bigger, increasing to suit different sizes! So Easy and Simple. Add a marker to your beginning stitch. Rnd 11-18: SC in EA SC around or until you get the length of your cap. In the picture I Slipped stitch LOOSLEY into BACK LOOP of next stitch to create the edging, for the last 4 rounds to create the border. Slip stitch into top of each chain st (6 rounds, to create a rectangle shape. ) Finish off leaving long tail, use this to attach to the baby hat, and pull in the middle! 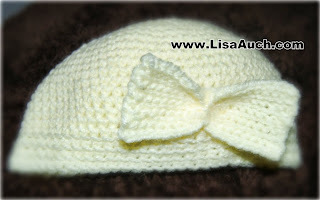 (I had never made this before and kind of just thought a bow would suit the color of the hat! Please Note this is an updated version of the Pattern I first Published in Feb 2012. As always you are Free to make and sell items you have made from the pattern. However You Must NOT copy or distribute the pattern online TEXT OR PDF, in part or whole anywhere else without my express written permission. You can share the picture of the finished item. With a link BACK to this page. You must NOT use my pictures in any way to sell YOUR Own Finished product You will NOT put this PATTERN (whole or in part) on to ANY other SITE online without my express written permission. This post may contain affiliate links.